The kitchen is a room which needs thorough and professional cleaning that should be implemented by experienced and qualified staff. If you use our kitchen cleaning services the food preparation areas in your estate will be in perfect condition and look good. Our employees work fast, efficiently and provide excellent sanitising of kitchens in domestic, rented and business estates. Get in touch with them by using our call centre, e-mail, online chat or booking form. 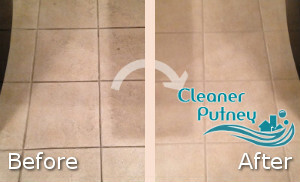 Our kitchen cleaning services are at your disposal in Putney SW15 every day at affordable prices. If you need help with the sanitising of the kitchen in your house, flat, restaurant, hotel or other estate, call us and our skilled cleaners will do the work. They use effective products, tools and machines for sanitising the different appliances and surfaces. You will have perfectly clean counters, fridges, freezers, ovens, cabinets, floor, washbasins and kitchen surfaces after our cleaners do the required work. It will be implemented at a convenient time and affordable price. 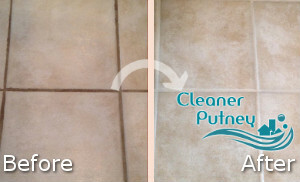 The kitchen cleaning which we offer in the region of Putney is trustworthy and inexpensive. To maintain the cooking area in your pub, restaurant, hotel, house or flat in spotless and hygienic state, rely on our employees to provide the necessary work. They have the tools, machines, preparations and skills that are necessary for ensuring thorough and professional cleaning services. Our company is located in SW15 Putney and works seven days in the week providing excellent kitchen cleaning to property owners, tenants and all customers. Get in touch with us over the phone, by e-mail or online to book the sanitising of your kitchen for a suitable time.